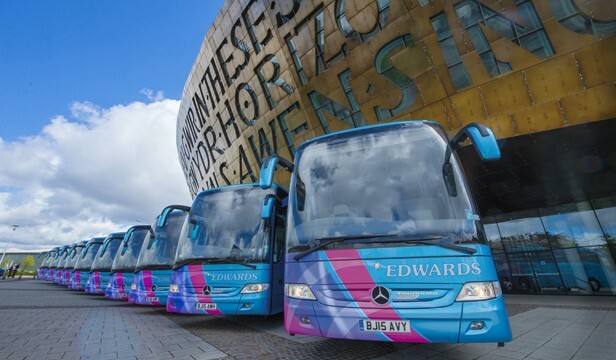 Edwards Coaches are delighted to announce the renewal of a working partnership between themselves and the Wales Millennium Centre, Cardiff Bay. Now entering the second year, Edwards has worked closely over the past 12 months with the Centre to establish a strong business network. The Centre has firmly established its position as an international icon for Welsh culture, creativity and excellence, showcasing the best of Wales to the world and the best of the world to Wales. Working alongside such a prestigious venue will help grow the Edwards Coaches brand as they expand across South Wales and further afield.